^ Mark Carreau. $30 million buys Austin resident a ride on Soyuz mission. The Houston Chronicle. 2008 [October 12, 2008]. ^ Tariq Malik. Former Astronaut's Son Signs on as Next Space Tourist. SPACE.com. [October 9, 2007]. 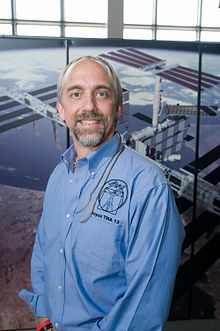 BBC Breakfast News video interview with Richard Garriott filmed about 10 weeks prior to his space mission.